Enjoy a new chapter of love and laughter with Season 7 of Modern Family, winner of five Emmy® Awards for Outstanding Comedy Series. Quackery rules the roost when Phil adopts a trio of orphan ducklings and the rebellious Dunphy kids spread their wings. Meanwhile, Cam and Mitchell face financial hurdles and wild frat boys, Jay and Gloria “farm” out Joe’s preschool education and Manny leaps into the dating game. But will the big question finally be answered: are Haley and Andy destined to be together? The laughs, lunacy and love have never been more alive. As some of you know already I am extremely picky when it comes to comedy shows and movies but Modern Family is my current favourite comedy show out there. I very much enjoyed season 7. It is just as funny as all the other season and I believe this is one of my favourite seasons of the show so far. I found it laugh out loud funny . If I am feeling blah I usually pop this show in the blu-ray player and watch a few episodes because it will always make me laugh. 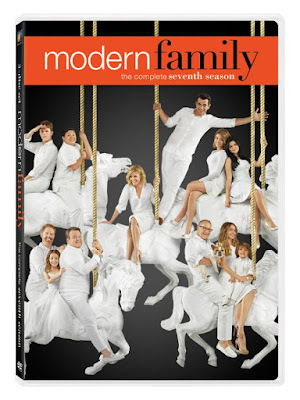 If you love Modern Family then I highly recommend you buy the seasons on DVD . 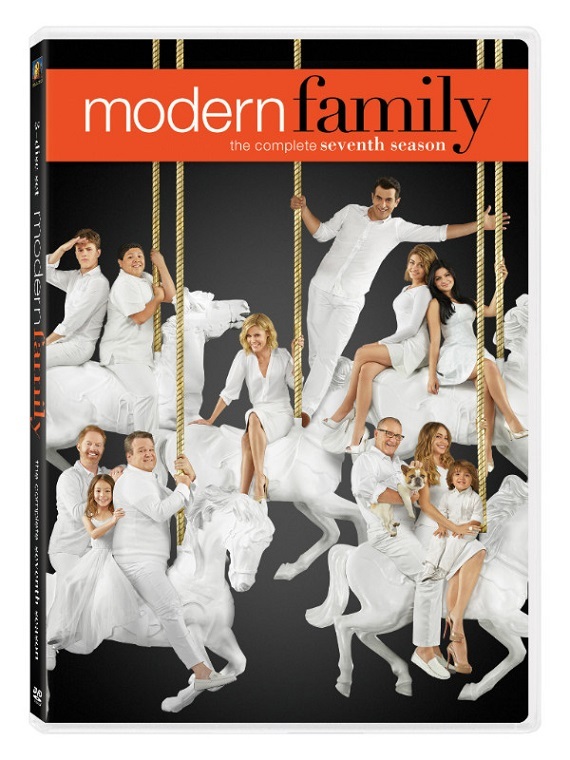 MODERN FAMILY SEASON 7 will be available in stores near you on September 27th 2016.